Carton family tree, by Garrett Carton. Cartons of Dublin City and County, by Garrett Carton, 2001. [DCA] RR. 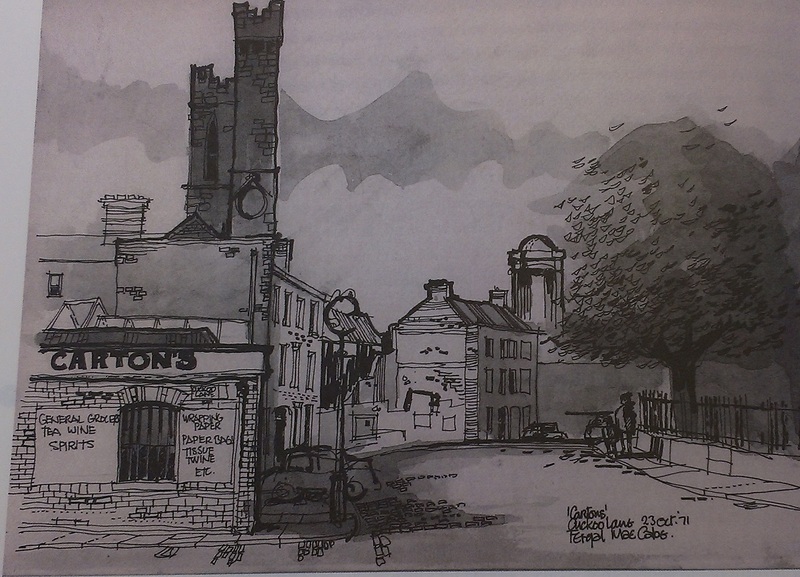 "The Cartons of Dublin City & County" by Libby Carton, MA project, NCAD. Carton Brothers, Halston St (at corner of Cuckoo Lane), Dublin. mar her 2nd cousin Jim O'Mara. Brian Carton, mar Marie Deevy. Ann Carton, mar Liam Flanagan. Yvonne Carton, mar Mike Taylor. Deirdre Carton, mar Colum Brehony. Former site of Carton Brothers ("Caterway" building), Halston St (at corner of Cuckoo Lane). History and profile of Carton Brothers. "Nationwide", RTE One TV, 9 May 2011. In 1970, Carton Brothers moved from Dublin to a massive new chicken processing plant in Shercock, Co.Cavan. Think this is it in street view on NW side of Shercock, on the lake. Carton Brothers head office is now at Bracetown Business Park, Clonee, Co Meath (not far from Dublin). See street view of entrance to park. They are poultry and egg distributors, and also do ready-made meals and animal feed. They are Ireland's largest processor of chicken meat. The company's chicken brand is "Manor Farm Chicken". Website is Chicken.ie. It was previously thought that Fonso Carton was a 2nd cousin of Oliver St.John Gogarty. But Garrett Carton says this has been disproved. Their connection is to the Gogarty family next door to Carton on Halston St, but apparently these are no relation to Oliver St.John Gogarty. It Isn't This Time of Year at All!, Oliver St.John Gogarty, 1954. Oliver St.John Gogarty, Ulick O'Connor, 1963. As I was going down Sackville Street, Oliver St.John Gogarty, 1937. Tumbling in the Hay, Oliver St.John Gogarty, 1939. Rolling Down the Lea, Oliver St.John Gogarty, 1949. Oliver St.John Gogarty, J.B. Lyons, 1980. Carton's in [Pettigrew & Oulton, 1845].